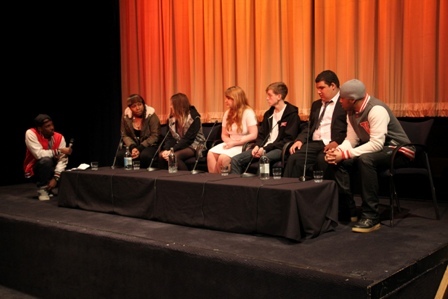 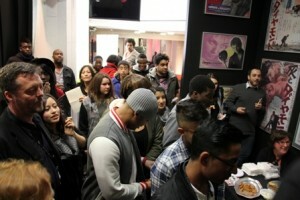 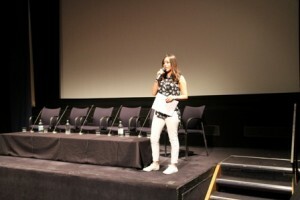 The screening took place Saturday 25th at the NFT2, BFI Southbank. 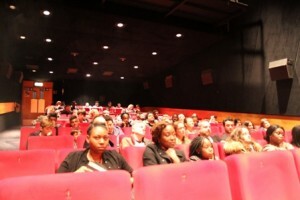 It was a fantastic audience turn out from friends, family and industry support. 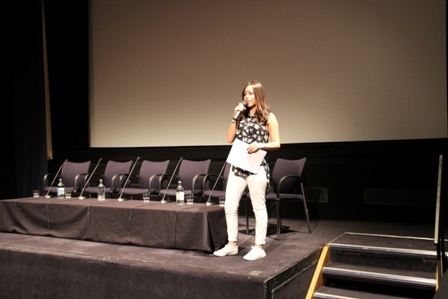 All the participants said it has been an amazing experience and are definitely inspired to continue pursuing media as a career. 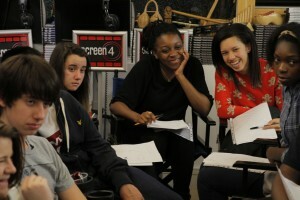 All the young people have worked really hard to produce their drama and documentaries. 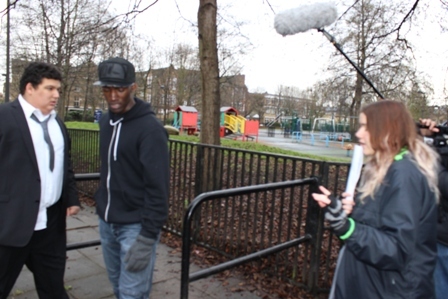 Malachi Kirby, Actor, featured in Gone Too Far (2013), My Brother the Devil (2012) and My Murder (2012), shares directing tips and plays a cameo role in their drama ‘Sotie’ (working title). 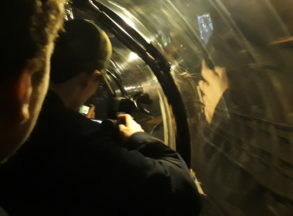 ‘ It’s been amazing, I’ve learnt so much…’ ‘I wish there were courses like this back in my country..’ ‘Much better than I expected, I’m so glad I’m doing it..’ They are now approaching Post-production stage. 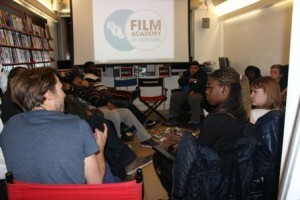 They have a great film and documentary idea but lots to do before they start filming. 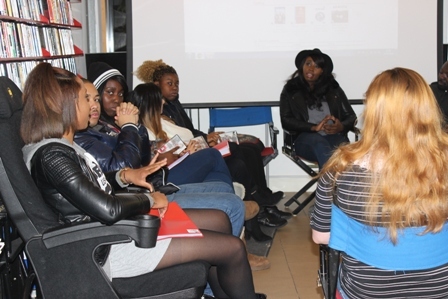 They recently met Marina Warsama, Factual Documentary Producer/Director, credits include BBC’s Million Dollar Intern” Channel 4’s, Secret Millionaire Full Credit List ‘Marina has given us some great tips to help us with making our documentary’. 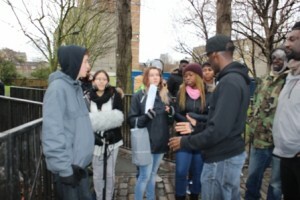 They also had a great sound workshop from Ronald Bailey, his most recent work is Production sound Recordist on the latest Silent Witness, Full Credit List. 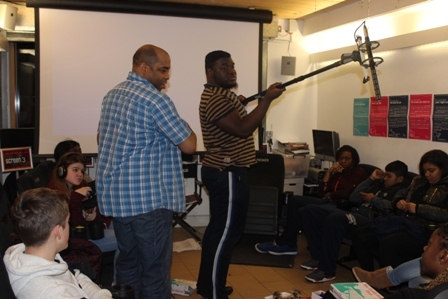 ‘Ronald is so inspiring, you can tell he loves his job, it has made me want to do sound on our film’ The group have recently attended workshops with Bola Agbaje, Feature Film and Theatre Writer and Stil Williams, Director of Photography, most recent drama, Honeycombe Lodge. 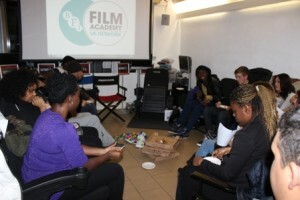 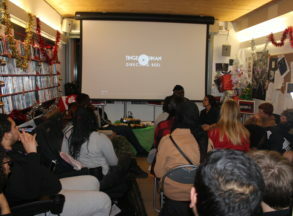 Monday 8th December was the first session where all the successful young people got to meet each other and learn about the BFI Film Academy Programme. They met award winning Documentary Producer Orlando von Einsiedel and Film Director, Destiny Ekaragha from the movie ‘Gone Too Far’. 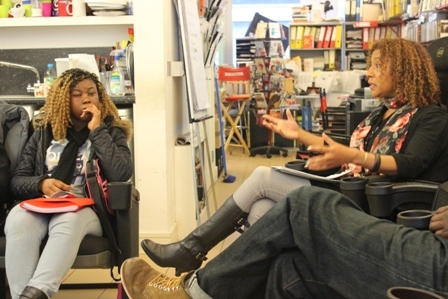 ‘It was great to hear from a women film Director, what her journey has been like and know that it’s possible…’ ‘I really am excited about making a documentary, Orlando was very inspiring..’ ‘Looking forward to the rest of the course…’ Some of the other mentors and speakers that the young people are to meet – Marina Warsama, Factual Documentary Producer/Director, credits include BBC’s Million Dollar Intern” Channel 4’s, Secret Millionaire. 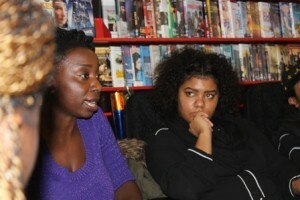 Bola Agbaje, Feature Film and Theatre Writer, her recent writing credit is ‘Gone Too Far’. 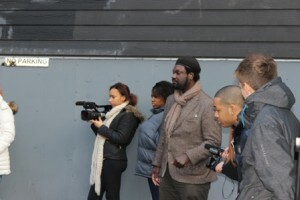 Malachi Kirby, Actor, featured in Gone Too Far (2013), My Brother the Devil (2012) and My Murder (2012). 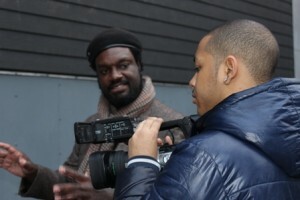 He also has been in Doctors, EastEnders, Silent Witness, Casualty and much more. 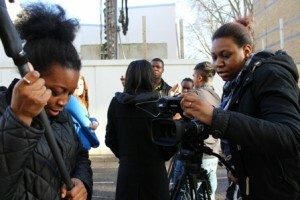 Nadine Marshal-Edwards, Producer, form Wall to Wall TV. Copyright © 2013 Mouth That Roars.